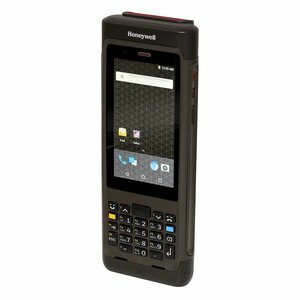 The CN80 is an ultra-rugged handheld computer that incorporates a traditional keypad with a large touchscreen to give users flexibility in inputting data. The CN80 is an ultra-rugged handheld computer that incorporates a traditional keypad with a large touchscreen to give users flexibility in inputting data. The CN80 is based on Honeywell’s Mobility Edge platform which provides an extended useful life by supporting Android releases through Q and security updates beyond that. All CN80s include vivid 4.2” display, multitouch capacitive touchscreen, WiFi, Bluetooth, a 5800 mAh capacity battery and a full suite of sensors. The CN80 includes several options which allow it to support both Field Mobility and Warehouse use cases. Options include: 4G LTE WWAN/GPS, standard range or long range near/far imager, QWERTY or Numeric keypad, 13 megapixel Camera, and Cold Storage or non-incendive environments. A full suite of accessories is available for charging the unit or battery, communicating with the unit, comfortably holding the unit in use and properly holding the unit while not in use.